The Jeep Wrangler is one of the most easily recognizable models in automotive history. 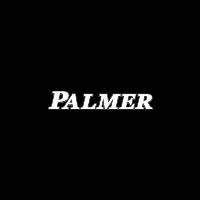 It has had a long-lasting reputation for raising the bar of what an off-road vehicle can and can not accomplish. This year’s 2019 Jeep Wrangler continues to raise that bar thanks to the most innovative redesign in the history of the Wrangler. What is under the hood of the 2019 Jeep Wrangler? The 2019 Jeep Wrangler comes standard with a 3.6-liter V6 engine which is rated with a horsepower of 285 and 260 lbs.-ft. of torque. There is an optional engine configuration which sees a turbocharged 2.0-liter four-cylinder engine which is rated with a horsepower of 270 and 295 lbs.-ft. of torque. The standard 3.6-liter engine is paired to a six-speed manual transmission, with the option of upgrading to an eight-speed automatic transmission. The turbocharged 2.0-liter engine is paired exclusively to an eight-speed automatic transmission. What kind of safety features are included with the 2019 Jeep Wrangler? The 2019 Jeep Wrangler configuration with an impressive line of features that come standard. Some of the standard equipment includes trailer-sway control, hill-start assist, electronic stability control, brake traction control, and an electric roll mitigation system. There are over 75 optional safety features for the 2019 Jeep Wrangler. Optional features include the Trac-Lok system which provides extra torque while in tough-terrain environments. What are the different trim levels for the 2019 Jeep Wrangler? 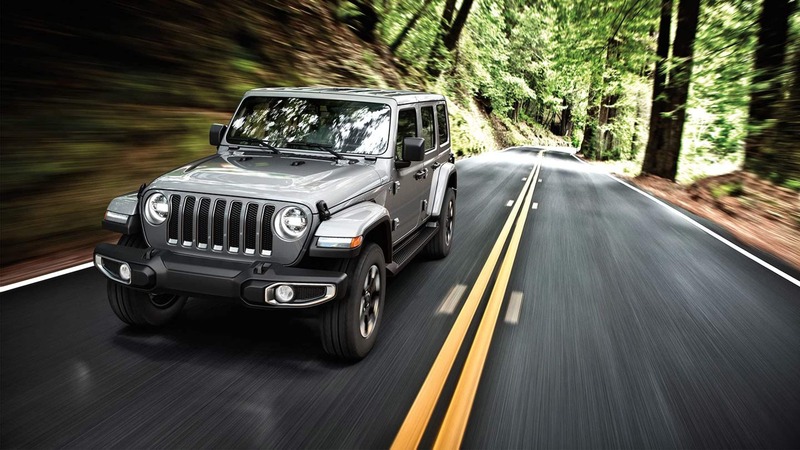 The 2019 Jeep Wrangler is available in five separate trim levels, each with its own set of equipment and features. They are; Sport, Sport S, Sahara, Moab, and Rubicon. All trims are available with either a soft-top convertible or a hardtop roof.Read about the differences in each trim below. 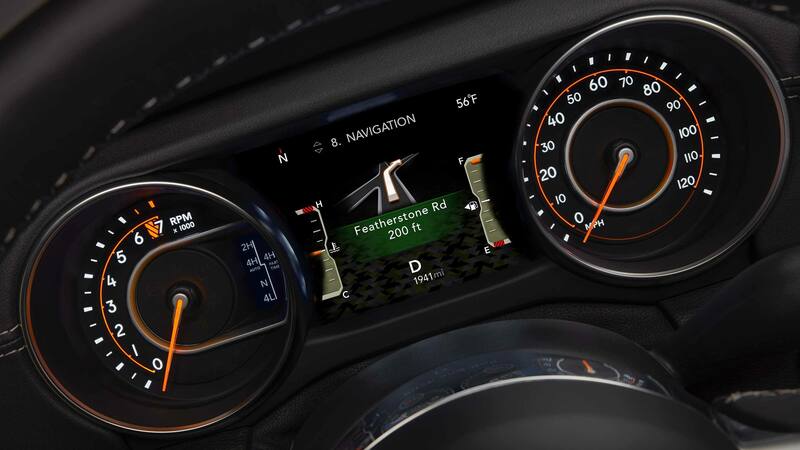 The base-level trim for the 2019 Jeep Wrangler is the Sport model which features a 5-inch touchscreen monitor equipped with the Uconnect infotainment system, Bluetooth connectivity, an eight-speaker audio system, a USB port, and a rearview camera. 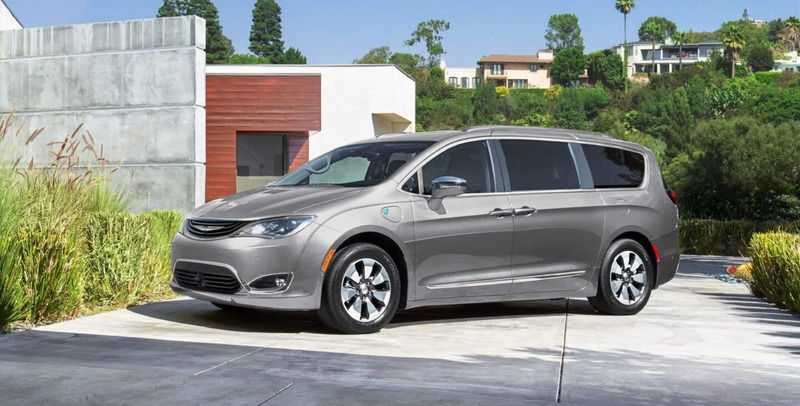 Equipped featured standard on the Sport trim includes 17-inch steel wheels, skid plate, fog-lights, a fold-down windshield, cruise control, and air-conditioning. 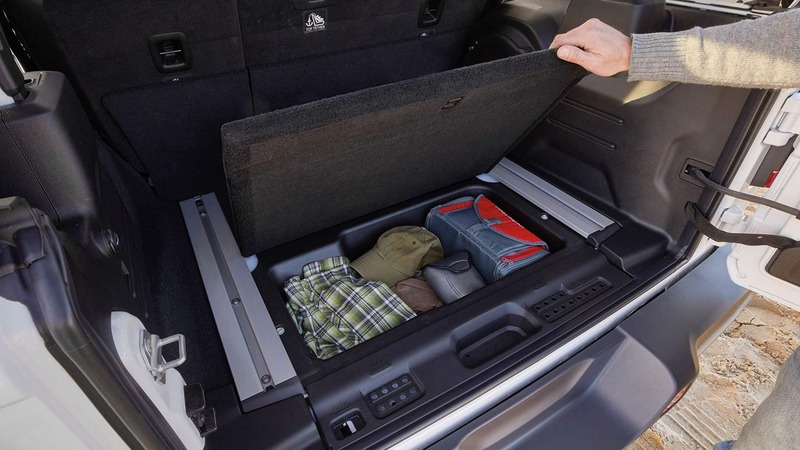 Take advantage of owning a classic Jeep with the 2019 Jeep Wrangler’s detachable doors. The Sport trim is available with either a two- or four-door configuration. The second trim level is the 2019 Jeep Wrangler Sport S, which build off of the features from the Sport trim. Additional equipment for the Sport S trim includes alloy wheels, automatic headlights, heated mirrors, a security alarm system, a leather-wrapped steering wheel, and remote locking and unlocking. The Sport S trim is also available with either two- or four- doors. The next trim level is the 2019 Jeep Wrangler Sahara model, which features all the upgrades from the Sport S trim. The Sahara trim sees additional equipment like upgraded brakes, automatic climate control, a 115-volt household-style power outlet, and 18-inch alloy wheels. 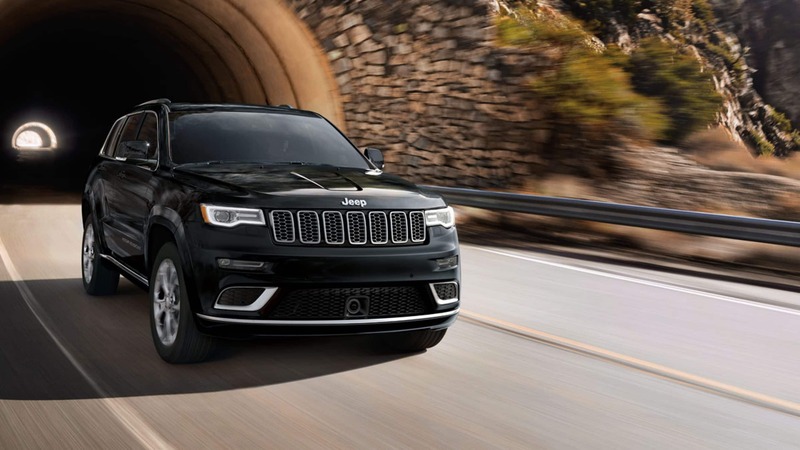 Tech upgrades include an upgraded version of the Uconnect infotainment system, additional USB ports, a larger 7-inch touchscreen monitor, and Apple CarPlay / Android Auto smartphone connectivity.The Sahara is only available with the four-door configuration. The 2019 Jeep Wrangler Moab gets additional features such as rear parking sensors, an auto-dimming rearview mirror, upgraded leather upholstery, a body-colored hardtop, a full-time four-wheel-drive system, and a steel front bumper. The Moab trim also gets a larger 8.4-inch touchscreen monitor, a nine-speaker Alpine sound system, and a built-in navigation system. The Moab trim level is only available with the four-door configuration. The top-tier trim for the 2019 Jeep Wrangler is the off-road-oriented Rubicon trim. This trim level features additional upgrades such as a heavy-duty Dana M210 front axle, a M220 rear axle, electronic front and rear lockable differentials, upgraded cloth upholstery, and an electronically disconnecting front roll bar. This trim is the obvious choice for those who want to take the 2019 Jeep Wrangler into the toughest of environments. 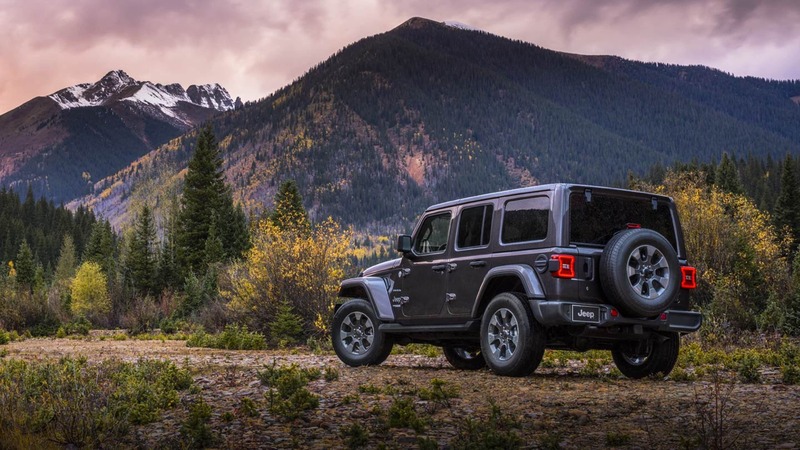 The 2019 Jeep Wrangler is one of those vehicles that just has it all: durability, versatility, unmatched comfort, and unlimited capabilities. This fan-favorite is sure to surprise drivers with its expansive redesign. Contact our sales team to schedule a test drive today! BACK-UP CAMERA, 4X4, BLUETOOTH, MP3 Player, . MSRP: $35065 SALE Price: $29065! The 2018 Jeep Wrangler Unlimited is the spirit of freedom and the promise of adventure. It stays authentic to the traditional Wrangler formula: iconic styling, round headlamps, seven-slot grille, flat fender flares, fold-down windshield and removable top and doors. It also features an easier way to experience open-air freedom thanks to the easily foldable windshield. The fold-down process requires the removal of far fewer bolts than previous models, while redesigned hood bumpers feature cleverly integrated washer nozzles for a seamless appearance. With 17-inch polished wheels and high-clearance fenders, there’s nothing you can’t handle. A new seat design provides comfort and maximum support. Open-air freedom is at the heart of the Wrangler Unlimited, with a new lightweight hardtop with easily removable roof panels or the new zipperless soft top. The wash-out interior features all-new, one-way drain valves in the floor to let the water flow out but not back in. Just remove the carpet and you can wash out the interior with a hose. The Wrangler Unlimited boasts a 3.6L Pentastar V6 engine or all-new 2.0L turbo engine under the hood, plus 33-inch all-terrain tires. Tow hooks and heavy-duty axles help it pack a punch. The Wrangler Unlimited is packed with cutting-edge technology, including a 8.4-inch touchscreen, Apple CarPlay and Android Auto support, SiriusXM Guardian, a premium sound system, push-button start, USB ports and a 115-volt power outlet. It also offers a suite of safety features, including blind spot monitoring and rear cross path detection, hill start assist, trailer sway control, rear back up camera and rear park assist. BACK-UP CAMERA, 4X4, BLUETOOTH, MP3 Player, SAT RADIO, . MSRP: $35360 SALE Price: $29360! The 2018 Jeep Wrangler Unlimited is the spirit of freedom and the promise of adventure. It stays authentic to the traditional Wrangler formula: iconic styling, round headlamps, seven-slot grille, flat fender flares, fold-down windshield and removable top and doors. It also features an easier way to experience open-air freedom thanks to the easily foldable windshield. The fold-down process requires the removal of far fewer bolts than previous models, while redesigned hood bumpers feature cleverly integrated washer nozzles for a seamless appearance. With 17-inch polished wheels and high-clearance fenders, there’s nothing you can’t handle. A new seat design provides comfort and maximum support. Open-air freedom is at the heart of the Wrangler Unlimited, with a new lightweight hardtop with easily removable roof panels or the new zipperless soft top. The wash-out interior features all-new, one-way drain valves in the floor to let the water flow out but not back in. Just remove the carpet and you can wash out the interior with a hose. The Wrangler Unlimited boasts a 3.6L Pentastar V6 engine or all-new 2.0L turbo engine under the hood, plus 33-inch all-terrain tires. Tow hooks and heavy-duty axles help it pack a punch. The Wrangler Unlimited is packed with cutting-edge technology, including a 8.4-inch touchscreen, Apple CarPlay and Android Auto support, SiriusXM Guardian, a premium sound system, push-button start, USB ports and a 115-volt power outlet. It also offers a suite of safety features, including blind spot monitoring and rear cross path detection, hill start assist, trailer sway control, rear back up camera and rear park assist. BACK-UP CAMERA, 4X4, BLUETOOTH, MP3 Player, . MSRP: $36090 SALE Price: $30090! The 2018 Jeep Wrangler Unlimited is the spirit of freedom and the promise of adventure. It stays authentic to the traditional Wrangler formula: iconic styling, round headlamps, seven-slot grille, flat fender flares, fold-down windshield and removable top and doors. It also features an easier way to experience open-air freedom thanks to the easily foldable windshield. The fold-down process requires the removal of far fewer bolts than previous models, while redesigned hood bumpers feature cleverly integrated washer nozzles for a seamless appearance. With 17-inch polished wheels and high-clearance fenders, there’s nothing you can’t handle. A new seat design provides comfort and maximum support. 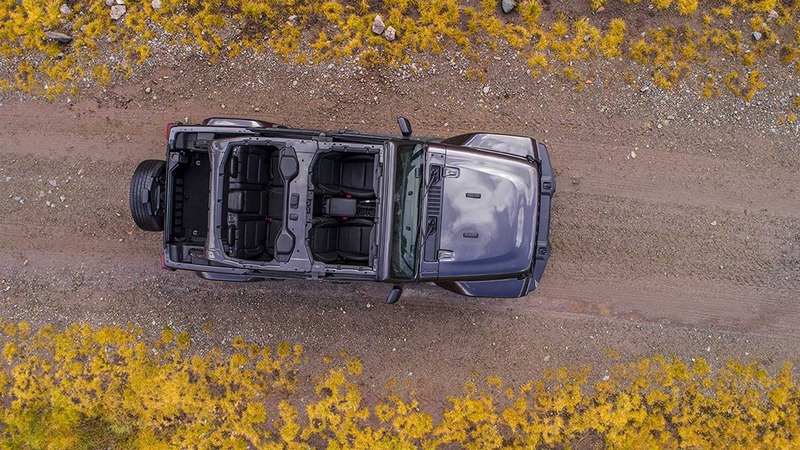 Open-air freedom is at the heart of the Wrangler Unlimited, with a new lightweight hardtop with easily removable roof panels or the new zipperless soft top. The wash-out interior features all-new, one-way drain valves in the floor to let the water flow out but not back in. Just remove the carpet and you can wash out the interior with a hose. The Wrangler Unlimited boasts a 3.6L Pentastar V6 engine or all-new 2.0L turbo engine under the hood, plus 33-inch all-terrain tires. Tow hooks and heavy-duty axles help it pack a punch. The Wrangler Unlimited is packed with cutting-edge technology, including a 8.4-inch touchscreen, Apple CarPlay and Android Auto support, SiriusXM Guardian, a premium sound system, push-button start, USB ports and a 115-volt power outlet. It also offers a suite of safety features, including blind spot monitoring and rear cross path detection, hill start assist, trailer sway control, rear back up camera and rear park assist. BACK-UP CAMERA, 4X4, BLUETOOTH, MP3 Player, SAT RADIO, . MSRP: $36880 SALE Price: $30880! The 2018 Jeep Wrangler Unlimited is the spirit of freedom and the promise of adventure. It stays authentic to the traditional Wrangler formula: iconic styling, round headlamps, seven-slot grille, flat fender flares, fold-down windshield and removable top and doors. It also features an easier way to experience open-air freedom thanks to the easily foldable windshield. The fold-down process requires the removal of far fewer bolts than previous models, while redesigned hood bumpers feature cleverly integrated washer nozzles for a seamless appearance. With 17-inch polished wheels and high-clearance fenders, there’s nothing you can’t handle. A new seat design provides comfort and maximum support. Open-air freedom is at the heart of the Wrangler Unlimited, with a new lightweight hardtop with easily removable roof panels or the new zipperless soft top. The wash-out interior features all-new, one-way drain valves in the floor to let the water flow out but not back in. Just remove the carpet and you can wash out the interior with a hose. The Wrangler Unlimited boasts a 3.6L Pentastar V6 engine or all-new 2.0L turbo engine under the hood, plus 33-inch all-terrain tires. Tow hooks and heavy-duty axles help it pack a punch. The Wrangler Unlimited is packed with cutting-edge technology, including a 8.4-inch touchscreen, Apple CarPlay and Android Auto support, SiriusXM Guardian, a premium sound system, push-button start, USB ports and a 115-volt power outlet. It also offers a suite of safety features, including blind spot monitoring and rear cross path detection, hill start assist, trailer sway control, rear back up camera and rear park assist. BACK-UP CAMERA, 4X4, BLUETOOTH, MP3 Player, KEYLESS ENTRY, SAT RADIO, ALLOY WHEELS. MSRP: $35885 SALE Price: $32885!